Microsoft Corp. is testing out a new way to search select topics by retreiving visual results instead of text. A list of about 50 popular categories now return image results. At launch, the visual search option only works on a few topics, but it’s a great move for brands. For starters, the new search option is designed with advertisers in mind. The AP says that Microsoft worked with shopping sites and other companies to pull in the pictures and descriptions necessary to make the features work. Retail items lend themselves more easily to this kind of search, and Microsoft is smart to drill down on niches where there is room for improvement on search. Google’s current visual — and shopping — results leave much to be desired. 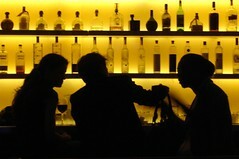 makes business sense to pour resources into popular searches. Microsoft can simplify the process and attract shoppers looking to make purchases — which could subsequently increase the value of its search terms. 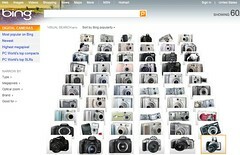 Visual Search is by no means complete at launch. Aside from there being only a handful of topics filled with info for searching, the feature requires the SilverLight browser plug-in download. And it’s also only available in the US at launch. August, bringing it to 10.7% of all U.S. searches. It remains to be seen if users get frustrated with the sparse info available on this feature, but this is exactly the kind of experimentation necessary for Bing to grow its marketshare. faster than through snippets of text. That’s especially useful when looking for new products. And if Microsoft can quickly turn out more thorough iterations of this product, visual search could be very good for business. Are paid friends the new paid links? Paid links have been and still are a popular SEO technique and it’s not hard to understand why: they promise instant gratification to those who can’t wait for results. Unfortunately, paid links are not in favor with search engines for obvious reasons and those who employ them today do so at significant risk. As the importance of social media becomes more apparent to businesses both large and small, it’s no surprise that the desire for instant gratification is rearing its ugly head in the form of ‘paid friends‘. What do startups strapped for cash — and time — do when they want to expand their brand into new places? In the case of Foursquare, they’re letting their users do it for them. But keeping up with all of that attention is a different story. While many online companies can easily push their web presence globally, Foursquare is currently only available in 22 cities. The technology is capable of working anywhere, but making it useful takes work on the ground. And in Vancouver, users are willing to put in those hours themselves. Starting on September 9, Foursquare is launching in the Canadian city. With a little help from the city’s residents. And marketing firm 6S. If it goes well, this could greatly expand the company’s reach. And show how a little positive word of mouth can go global. Marketing offline products in an increasingly digital world can be a difficult task. 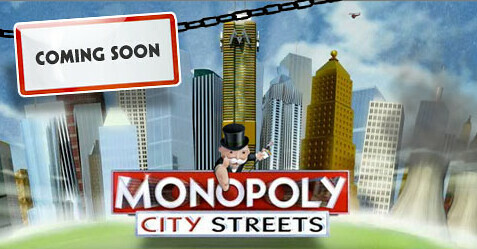 But gaming company Hasbro is going global to get the word out about its new version of Monopoly. Starting tomorrow, Hasbro is launching a worldwide game of Monopoly online using Google Maps. Users begin with $3 million of Monopoly cash in hand and can digitally purchase real city blocks around the world. They can then build skyscrapers, prisons or stadiums and begin collecting rent. Despite what you think about the game of Monopoly, this is a great move for Hasbro.